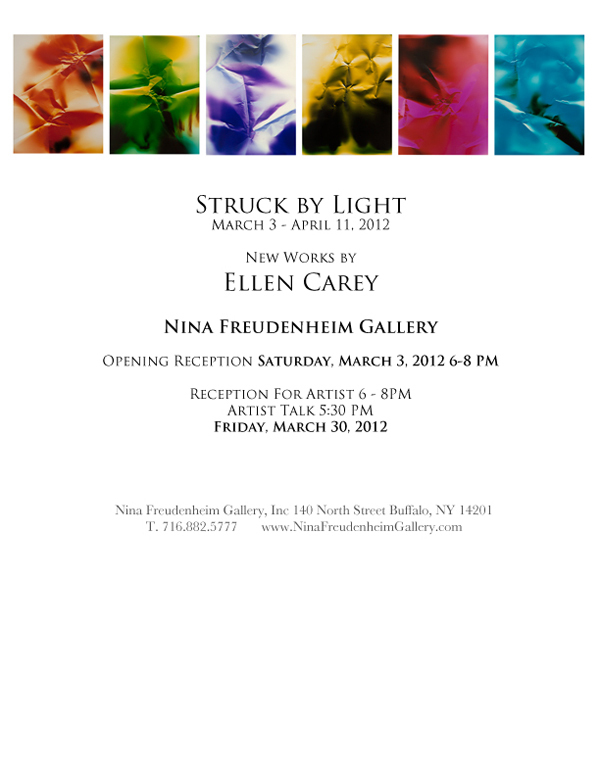 This is new work by one of my graduate school mentors, Ellen Carey. Ellen is a pioneer in photography exploring the language, process and apparatus of the camera. These are camera-less images called photograms. Ellen uses the colors used in color printing as her palette in these abstract & experimental works.